Student loans are now the second-largest category of U.S. household debt. The vast majority of current students, 85%, work while enrolled, according to an HSBC survey published Thursday. 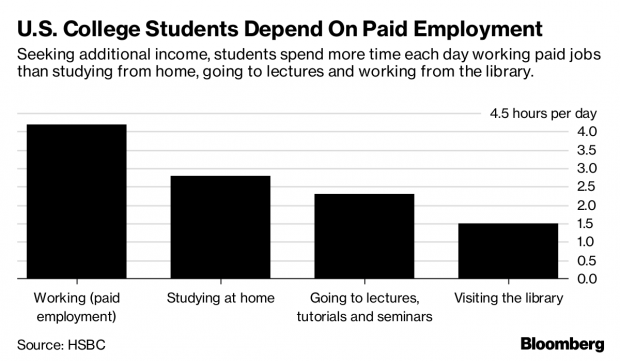 Students spend an average of 4.2 hours a day working paid jobs, which is more than double the time they spend in the library, nearly two hours more than they spend in class and 1.4 hours more time than they spend studying at home.